UFO’s & ET’s Join God Cosmic Awareness Revolution – Dr. Turi M.D.U.S. You probably noticed I stopped the production of my endless chain of cosmic code newsletters, but I am still here to open your eyes to the awful reality we all witness every single day! Thus I have decided to offer my world wide reading audience one article a week when time permit and with it, may your awareness and your support bless us to reach more concerned people in a fight we can not afford to lose! Becoming a mental “Cosmic Fighter” against the reptilius psychical infestation is not a simple request anymore…Its becoming a crucial need to save humanity! According to the daily horrific news and shocking sickening videos offered below, there is no denying the evil consuming the human spirit! But I will warn you all that those links are not for children or over sensitive human beings viewing! I dared to watch those abominable videos and I am still sick in my stomach a few days later, so think twice before doing so because I am making you aware of a critical situation and how low humanity has fallen! Sooner or later, some infected souls will suffer karma for abusing a little dog , while others have gone away from justice for years for inflicting cruelty against any animals, just for their enjoyment! Indeed the entertainment matrix reptilius infestation has no limit and has replaced the human gladiators of the old Roman Empire with innocent animals in man made arenas. I hope this reptilius invasive nightmare would have any form of limitation but it does not. There is no hell…This is it! And like innocent animals, immature brainwashed children are the prime victims of the politically oriented religious infected vile matrixes. Those children are not vulnerable children anymore. They are indoctrinated, desensitized, taught to kill without any remorse and like their vicious adult religious fanatic teachers, all are under the jurisdictions of the Cosmic Code cleverly manipulated by the reptilius… The psychology and neuroscience of terrorism by Dr. Turi. Back in 2013, I wrote and warned all my readers of the “Monsters of the Future…” God’s Creation of Children Monsters | Dr. Turi M.D.U.S. all in the name of a man made false god endorsed and promoted by the a multitude of religious matrixes! Its counterpart, the scientific matrix; is also battling for supremacy (and your financial support) must amuse the gullible, misinformed souls with an endless discovery of new “habitable” planets (Scientists Discover Another Earth-Like Planet ) and, in the process; created an unstoppable dry atheist movement!… Thousands of reptilius infected atheists gather in DC … – Dr. Turi MDUS. But when it comes to learning and dealing with the undiluted truth, all is rejected. Indeed, God (light/love/education) and the Devil (darkness/fear/ignorance) are very real and those two opposite forces at work has and will always display, their creative or destructive power on this dense physical world! Fortunately, humans can change and move from darkness into the light but only willingly and with good intentions…Even at the last minute. This cosmic information was received in the wake of yet, another “abduction” or more precisely the result of the Galactic Federation of Grand Cosmic Order!… I am Alien The Final Revelation | Dr. Turi M.D.U.S. And while Facebook (and all major media sources) banned me from reaching you with UFO’s and ET’s information, there is no stopping the conspiracy or Dr. Turi!… Google, LinkedIn Satan’s Minions and Dr. Turi | Dr. Turi M.D.U.S. It always takes time for anyone to “upgrade” his psychical perceptiveness to something that may appear ridiculous or simply impossible at first! But there are also plenty of those who can nor will ever be able to change. It all starts with the UCI…Indeed some are just born bullies and others not. While many need time and to bypass their limitations imposed by your inserted religious fears or “educated” skepticism, they also need to have a good soul! Nevertheless, the Reptilius phenomenon is very real and no one can escape them! At least yet and this is why your concern is crucial in the battle. Reptilius confine the human spirit into entertainment, religions, sports and scientific atheism convictions are designed to nurture fears, chaos, discords and doubts, steal your attention, stop your psychical awareness and stop your spiritual interaction against them! Terania and I are targeted, slandered, ridiculed and sought as psychics maniacs working for the devil and many say we are the devil! We benefit from our VIP’s total support and at this point, you must choose to join us and regularly conduct these psychical battles and avoid feeding those nefarious entities with fears! LEARN MORE ABOUT THE REPTILIUS listen to my latest radio show! And if we can each act without fear, it is because you are there doing your part with us! In fact; the Cosmic Code private website is taken care of and exists because of your trust in our cosmic wisdom. The Cosmic Code is made to guide you every single month of the year with various Universal (daily) horoscopes / forecasts and help and answer any of our VIP’s in time of troubles. This year we made my 2017 Nostradamus Personal Forecast available to all and brought the price down to $5.00 so there can be no excuses used to upgrade your perception of the divine. We are doing our part to elevate your own cosmic awareness and make a good use of God Cosmic Divinity! Do yours and work with and for the light and for hope of a much better future! This is the right time for you to join us and get the facts that the system and US department of education is unable and unwilling to offer you and your children! We represent the opposite of any and all man made deadly religions. We are offering a new perception of the reality of a cosmic universal, non judgmental, peaceful loving God and offering you with the true spiritual purposes and working of the cosmos. The scientific community has lost the spirit and made science their god but you do not have to do the same. We offer you the option to open your eyes and correct a reptilius infected abusive violent and racist ultra-nationalist corrupted multinationals religious systems. We are a universal “cosmic” movement, optimistic, humanistic, democratic and unique to planet earth. This is change all decent, curious, intelligent progressive human beings should want to see in the world. This fight is ongoing above in the heavens with various groups of benevolent and ruthless ET’s groups like ISIS, right here on earth but we must ally and be willing to win! Do not expect science, religions or politics to save the day as all are in denial and reptilius infected…And worse, totally oblivious of a phenomenon they can not comprehend nor assimilate! Do not ridicule my claims, for life is an endless process of changes where the impossible, in time, WILL become your reality! I am available to speak and teach the extraordinary but your pledge towards the support is on you. Remember, much of the “fabricated” famous unconscious elites “talking heads” are endorsed and promoted by the same vile infected corporations… Tony Robbins, is fame wisdom? To help the forces of cosmic awareness, covering everything related to animals and human rights…The battle against all “infected reptilius” for world peace, we rely on all donations made by the movement. But we are giving you the best in return for your “donation” by becoming a VIP and a crucial part to something that enable us to continue our cosmic educational work. We do not expect money from any and all reptilius infected governments, corporations, foundations or large greedy private donors. We know better. As there are many regulatory requirements and eventually those in control lose the control. We rely on you alone, the law obedient citizens, the curious souls dedicated to get closer to God and work with us to better ALL his children. There is so much information I would not dare to approach in this article, much like I was forced to endure a succession of abductions since childhood. But you need a very cautious, progressive cosmic education and this will never happen if you keep feeding the reptilius with deep encrusted religious fears or skepticism. This resources are important for me to give my time, attention and efforts educating on the incredible, the impossible UFO’s phenomenon. Your subscription are donations which allows us to maintain our websites and our technical infrastructure to ensure our security and privately educate over 8000 VIP’s. This is the only way and the only reliable means to act physically and psychically against those evil forces ruining humanity! We are grateful to these amazing Cosmic Coders members who support the action of this movement for the benefit of all. Click here to join them and push our limits to reach and use God’s mighty cosmic power productively! While they do not know, I see every day the psychical impact of our VIP’s donors assembled to fight the forces of evil compromising and destroying our lives. Our VIP’s back the movement which allows us to be more ambitious, to take on more challenges and why we are asking for more of your support. Many factors contribute to the Cosmic Code existence, especially my successful battle against cancer or God himself offering me a second chance on life to help carry out the force towards abolishing fears and ignorance upon this earth. But indeed our current and future VIP donors are the most important to us. So even if you are not ready or can not join in my cosmic teachings, Terania and I are grateful for those who can! Join to fight the scientific matrix limited perception of the cosmos and educate you and your children on the reality of God cosmic divinity speaking his will through the stars and signs instead of man made teachings. Do you want to stop the ravage imposed by all the deceptive, archaic religious teachings of the past? Do you want to stop the breeding of evil, fear and ignorance and avoid separatism? If you do not act and support us today, you and your children will have to fight and die in the name of all existing religious infected matrixes… Please click here . God is Universal, he is an eternal entity that reflect the wisdom of the cosmic (altered) teachings of Jesus and the essence of the 12 Apostles reflecting the 12 hours of the day, the 12 months of the year, the 12 sins, the 12 virtues, the 12 tribes of Israel! The zodiac has 12 signs, and Jesus had 12 disciples. There were Twelve knights of the Round Table, Twelve tribes of Israel, and 24 elders sit around God’s throne– twice twelve. … This is reflected in the 16 kinds of face cards in the tarot deck and used as a form of Divination. DO NOT promote religions, do not support, endorse and maintain any religious matrixes especially when fears and guilt is the motivators of your good deeds! Life is a constant process of changes and YOU are the changes! As it is today, nothing will ever change or get better, just the opposite! Keeping any established reptilius infected matrixes is not the right decision to make… Help to promote change and the future, not the past! There is no future in the past, but a very deceptive, manipulative system that indoctrinate children of all nations. God must NOT be feared, the evil of ignorance should! Give with your heart to those you feel can make those changes because much of your benevolent donations are wasted to build more religious, sports and educational, brainwashing buildings controlled by the reptilius infected elites of this world! Do You Have The Yen To Be a Billionaire? 1) Your money goes to change the world’s perception to God cosmic divinity and offer the chance for humanity to unite under one real, single cosmic God… One must also remember all the wise men of the past and ALL disappeared civilizations used the stars! Before any course and for the protection of all, I pick the safe dates, a waxing protective moon and we will have our friend Chief Sonne Reyna one day for the blessings. Sedona Cosmic Code live teachings. I studied Nostradamus’ natural healing methodology and I pass on this crucial wisdom to all the people who are intuitive enough to see through the scientific medical matrix deception. Do you know your best and most powerful healing tool are your feet? Previous tarot teaching in Sedona. (note you may learn Nostradamus 16th century Astro-Tarot methodology at home on your own time on a DVD. Talk to Terania if you are interested in this home tarot course! 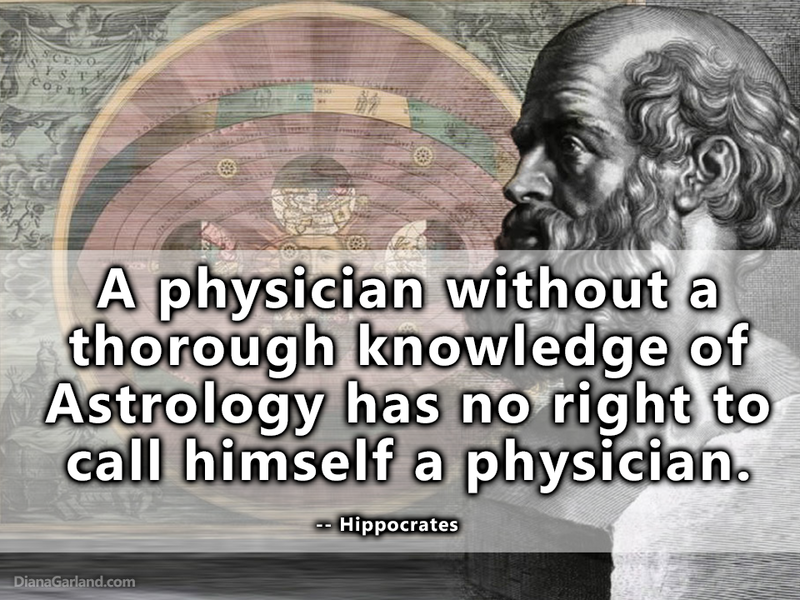 Or you may also request the Nostradamus Astropsychology home course. The massive growth of some abusive NGOs and the ethical problems we are subjected is insane! The wealthy, monopolizing scientific matrix may have access to very expensive techniques, such as street canvassing, phone calls, endless costly TV and radio spots or gala dinners but they are manipulating the truth… The True $$$$$$$$$$pirit of NASA – Dr. Turi MDUS. A very large part of the revenue collected is never attributed to your well being and vampirized by the high cost of fundraising, often outsourced to private companies. As mentioned before, the money is recycled into the same very abusive financially oriented pockets! The cosmic code pledge is limited by sending you my endless chain of FREE newsletters, direct emails, and it costs almost nothing! Thus maybe one day, divine astrology will be incorporated in the educational system for all to read the stars as signs. In addition, the VIP’s and the citizens are our only motive force; and we are the best and ONLY Cosmic group embodying this principle. Take your first FREE test drive (video) and be sure, I am real! 3) We are totally unique, and our role is crucial – It’s simple: there is no other Cosmic Code or Dr. Turi’s teachings available in the world! This does not mean the repertoire of wisdom of others spiritual souls joining us will not be sought and investigated. We are the only worldwide cosmic movement offering the tomorrow which is capable of leading the most lineal information of this magnitude. How we use our cosmic wisdom, and technology to share and react quickly on several topics at once is absolutely unique. All our VIP’s have gifts to help the fight but not everyone has a strong psyche or the right UCI! Thus it is important to have a reading so I can check on the location of your planets by house and sign. Wherever we look, we measure how movement like ours is important in this crazy world. Every week, we receive hundreds of emails requesting donations that endorse and support ALL reptilius agendas. We and our VIPs understand how this mixture of international visibility, strategic intelligence and support can make things different when other things fail. If you have read this message up to this point, you are probably aware of who I am and what we stand for and you know what we, as a group are capable of accomplishing. There will be many more battles to face against an abusive system and all my envious, god fearing unevolved enemies. Terania and I are very proud of what we have achieved so far together with our VIP’s and if you decide to join us, there’s always more. Next to our incredible citizen cosmic revolution movement, you have the world’s best legitimate modern prophet, cosmic teacher and soul doctor speaking through the cosmic code team. This will ensure that your voices are heard and addressed directly where decisions are made to benefit the future of all the children. 5) The Cosmic Code is a true form of alchemy – This may be hard for the skeptics, atheists and agnostic alike to believe, but the upcoming 2017 Cosmic Winds will support our spiritual movement and many wiser older souls already feel it. God’s cosmic spirit endorse this “cosmic God and UFO’s awareness” movement because it is truly unique. It will bring together citizens across borders and eliminate negative barriers thought positive actions, fraternal ideas and the effectiveness needed to build the world we all dream of. I have no words to describe this cosmic magic of cosmic consciousness but we feel the changes every working day. It is this magic that tells us the change is here but while change can’t be avoided, growth is only available by choice. While we are paving the way for the genuine New Age of Aquarius, A humanitarian, progressive, sign slowly overtaking the deceptive, religious Age of Pisces… There is the “falsified” version of Aquarius which the elites are trying to further. Remember that Neptune is the “sole basis” of the world and ruled by Pisces (drugs / chemicals / religious freedom / imaginative), thus where Pisces reside in ones chart can make the difference for the soul to become Neptunian or not? Keep in mind that there is only one thin hair between divine information and pure imagination. The Cosmic Code is a global citizen network with just over 8000 members who trust my visions and cosmic teachings. This is why sharing my articles today is similar to conduct your own campaign to ensure that the views and values of earth peoples’ influence global decisions to join us and fight the reptilius psychical invasion. We are God’s real cosmic “voice” translating into a unifying Universal code language breaking all the barriers imposed and maintained for centuries by the reptilius’ universal indoctrination and this is what the “infected souls” don’t like. Our readers and members are from all over the world; our team is universal and spread over all English speaking countries! But this Universal Cosmic language will take some time to be heard, recognized learned and accepted by all humanity. Click here to visit our public website and, while I am seriously limited there, follow us on Facebook or Twitter. You have become a member of the FREE Cosmic Code website movement and receive regularly these messages after signing into our private website. To ensure you continue to receive free cosmic code newsletters in the future, please go to http://www.cosmiccode.drturi.com/ to join.